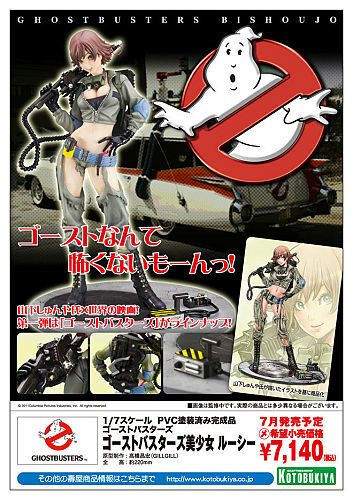 The Cybergundam Blog has posted a magazine scan showing an advertisement for Kotobukiya’s Bishoujo Ghostbusters Statue. The statue is due out in July 2011 at a price of 7,140 Yen (about $87 USD). Saw this in TRU this morning. SOOOOOOOOOOOO tempted to buy one. Looks absolutely incredible in person. That packaging is sick, I love all the thermal in the bg.